Bangladesh hosts Myanmar Nationals who are subject to discrimination in Myanmar and who have fled across the Bay of Bengal over the past years. Among them are some Myanmar Nationals who live in camps and who are officially documented. Most of them, however, is not officially documented and they are referred to as “Undocumented Myanmar Nationals (UMN)”. 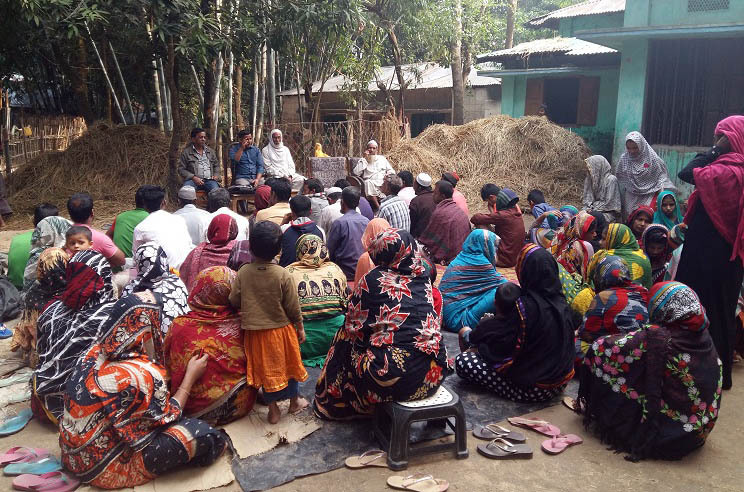 Around 0.3 million to 0.5 million UMN live with the local people in the villages and they are disseminated across the Cox’s Bazar district. They don’t have humanitarian facilities and live in the poorest sections. Among the youth of age between 18 – 35 years is a most crucial and critical phase of their lives. They face challenges since the youth of UMN and the host communities are targeted by extremist groups due to their frustration, hopelessness, anger, and unemployment, lack of education, marginalization and inequality. Extremist groups take advantage of the low levels of literacy and high levels of poverty prevalent in our society to recruit youth. It becomes very easy to motivate and indoctrinate youth with little or no education, in the name of religion. Since it is a coastal border area, it is most vulnerable to extremism and violence as most of the elements of religious and social extremism are present there. Coastal boarders are easily accessible and have lots of scope for mobility in case of any incidents. There are many rivers, canals and seaways in Cox’s Bazar, Chakaria, Teknaf, Ukhiya and Ramu that support leaving by river road. Almost all smugglers use these routes for their purposes. Government networks are also poor in these areas and extremist groups take advantage of this. In 2012, the Buddhist community of Ramu was attacked by an extremist group and a number of youth from the community have been recruited. Practically, most of the incidents are done by the men/male youth. Males are targeted by extremist groups, and, they are mostly involved with the violence, recruitment and radicalization process as well as with other illegal activities such as smuggling and trafficking. As a socially dynamic group, youth hold the solutions and potential to become positive change agents for the prevention of conflict and Violent Extremism, as well as for the promotion of peace but this potential remains largely untapped. 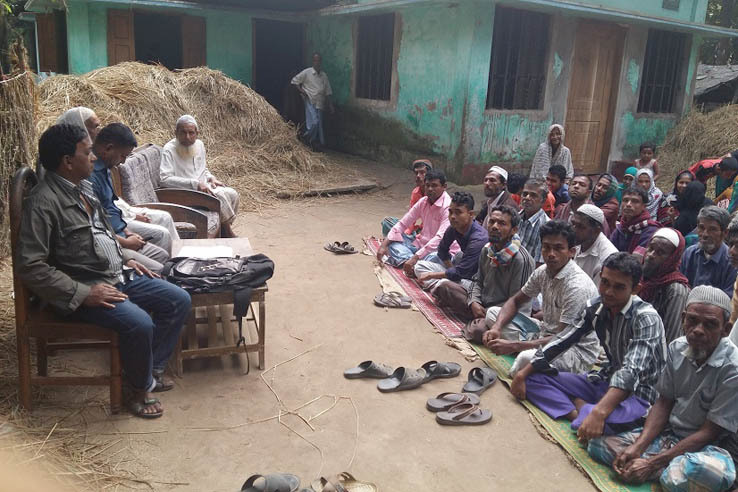 In all 8 Upazilas of Cox’s Bazar district, prevention and countering of violent extremism (P/CVE) is recognized as an important role of the community by local authorities, communities and other organizations. The recruitment of individuals or groups, especially youth, is prevented through strong community engagement. Youth platforms are organizations that can effectively contribute to preventing violent extremism (PVE) and raise their needs to policymakers through strong communication and meaningful engagement. Communities are more sensitized and organized and they are able to work as an actor to raise awareness, identify the signs of radicalization and serve as a force multiplier effect in communities where violent extremism and recruitment may occur. Local government and other civil society organization, CBOs, media, faith-based organizations and governments will provide active support by developing comprehensive and effective mechanisms to prevent violent extremism and radicalization. The Government works tirelessly to counter support for violent extremism and to ensure that, as new violent groups and ideologies emerge, they fail to gain a foothold in the community. 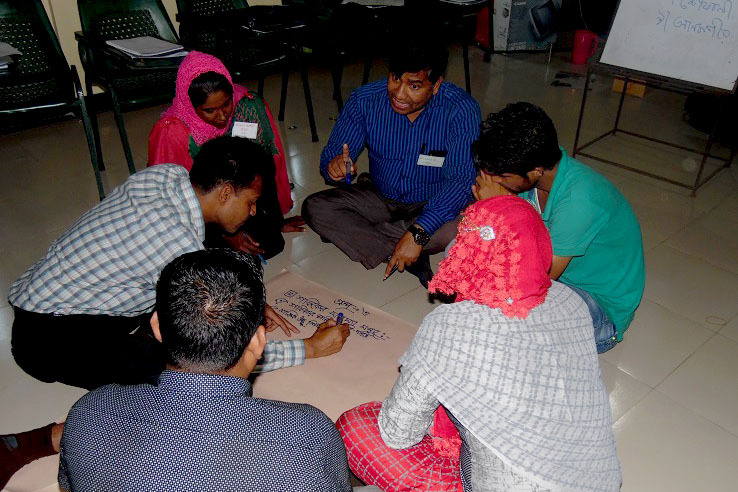 As a result, Cox’s Bazar district is more resilient and community engagement is increased, which can be a model for another area in Bangladesh. To prevent youth from being recruited by extremist groups by uplifting the livelihoods by creating decent employment opportunities. 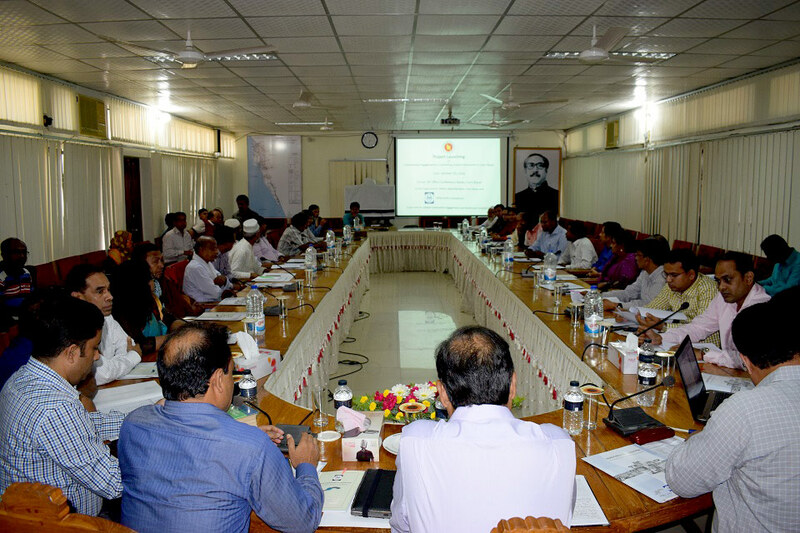 To ensure meaningful participation of Local Government institutions, civil society organizations, Community Based Organizations, media, faith-based organizations and local forums in P/CVE in order to build a community safety net for the youth through taking appropriate measures in Cox’s Bazar. 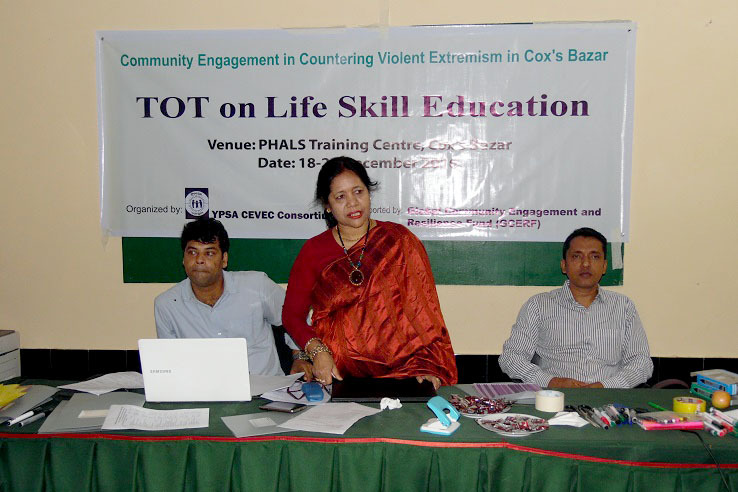 To empower the youth of educational institutions of age between 15-22 years old of Cox’s Bazar district to protect themselves from the threat of violent extremism. To enhance the knowledge of the women on the threats of VE to support those to take protection measure against violent extremism in their family and community. 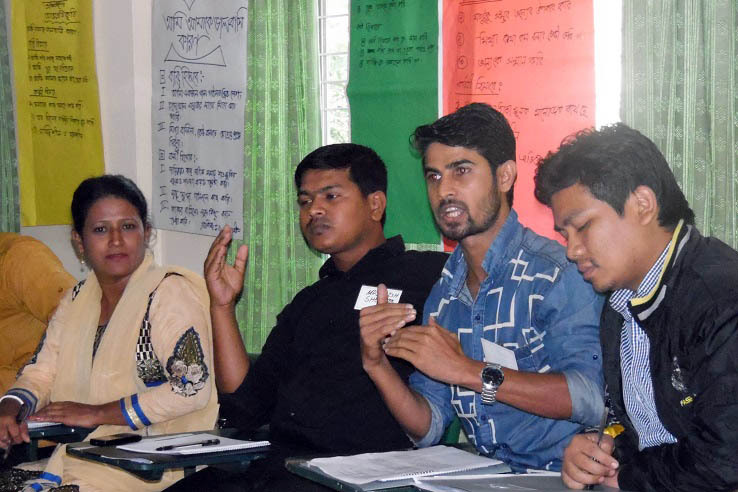 Ensured meaningful participation of local government institutions, civil society organizations, community-based organizations, media, faith-based organizations and local forums in P/CVE in order to build a community safety net for the youth through taking appropriate measures in cox’s bazar. Enhanced the knowledge of the women of UMN and surrounding host community on the threats of VE to support them to take protection measure against violent extremism in their family and community. Facilitate the 678 Youth groups at ward level, 75 youth forums at Union and Municipality level for 1506 community engagements on CVE such as flash mobs, cycle rallies, dialogues with religious and political leaders, signature campaigns, candlelight vigils, observance of special days, press conferences, youth rally, storytelling events, debates, camps etc. Facilitate youth to link with financial opportunities and job markets through arranging one to one meetings with employers, sharing the meeting with employers and job fairs. Arrange 162 orientations with 2,430 teachers at 162 educational institutes about the threats of VE and the initiative. 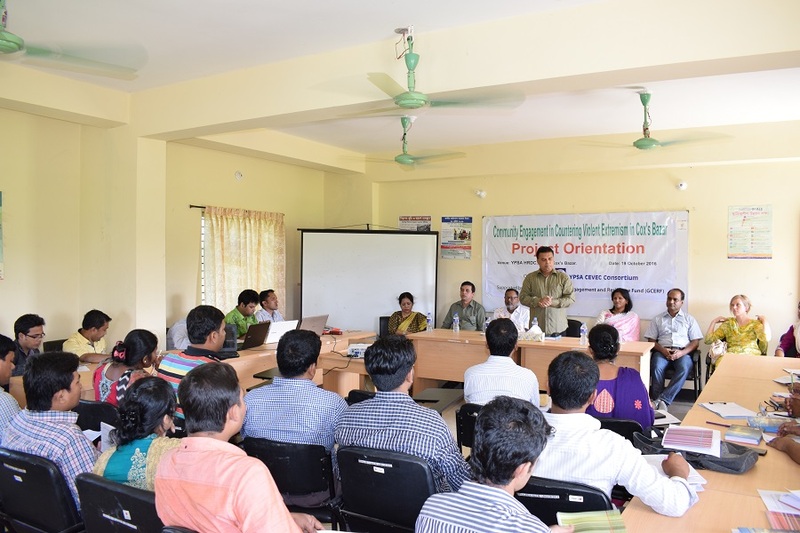 Provide 83 orientations to 1328 representatives of 83 Local Government Institutions at Union, Upazila and Municipality level. 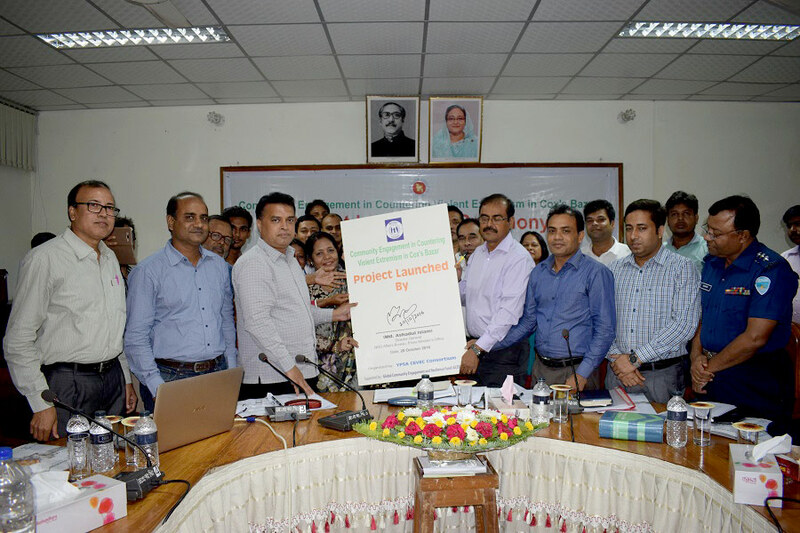 Activate 83 ‘Law and order standing committee’ consisting of 498 members and 83 ‘violence against women and children standing committee’ consisting of 498 members of 83 Local government institutions at Union, Upazila and Municipality level to take initiatives for prevention and countering VE. 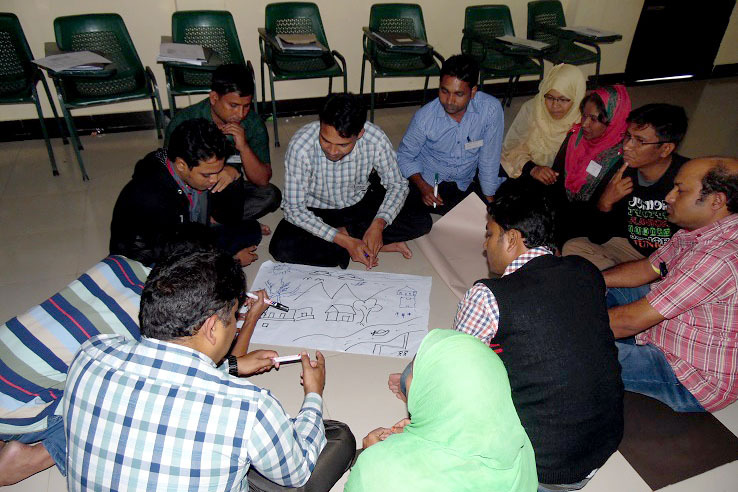 Provide 8 pieces of training on prevention and countering violent extremism to 240 participants from civil society organizations, Community Based Organizations, media, faith-based organizations, local forums and relevant government bodies. Arrange 5 roundtable discussions on the threats and consequences of VE with 200 policy makers, district administration, Upazilla administration, concerned government departments, law enforcement authorities, political leaders, press club/media, representatives from civil society, religious leaders and NGOs at the district level. Organize 5,424 courtyard meeting with 108,480 women participants at ward level. Arrange 75 events of Women gathering at Union and Municipality level with 7,500 women. Organize folk song for 101,700 audiences including women, girls and men at the community level. Provided EDBM training to 126 youth and organized 1 Job Fair where 650 youths participated. Organized 4 Half Yearly Consortium Committee Meeting for EDs, Program Directors and Consortium Management Unit. Conducted Capacity Assessment of SRs. Conducted Fiduciary Assessment at SR level. Developed Capacity Development Plan for SRs. Upgrade of Human Resource Management system of SRs. Upgrade of Financial Management system of SRs. The software-based Accounts Management system of SRs. 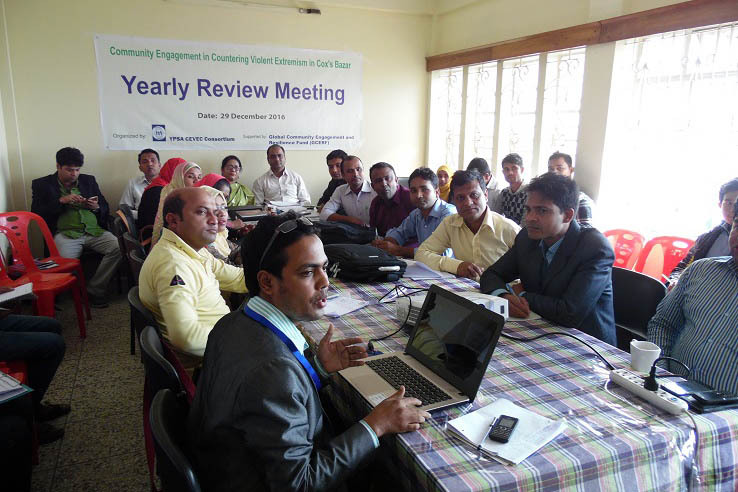 Monitoring Evaluation system development of SRs. Gender and Organizational Development of SRs. Develop multimedia application on PVE/CVE issues. Provided desktop with Software based Accounts Management system of SRs. 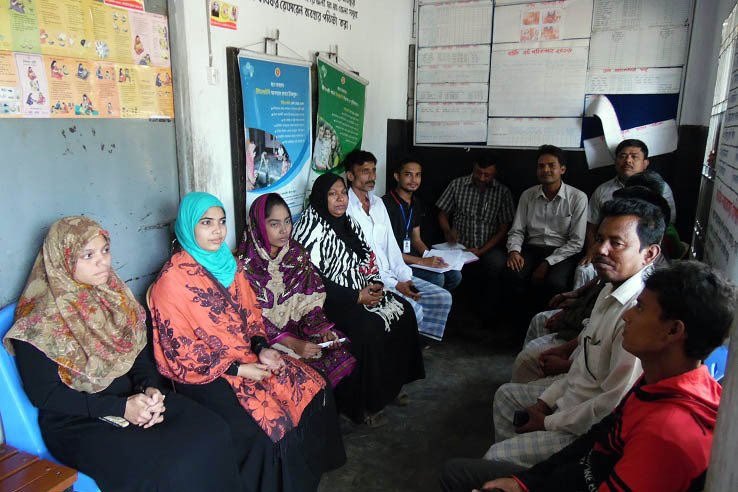 Project team attending District and Upazila NGO coordination meeting regularly. Elected Local Government representatives and Government Officials directly involvement in Community Engagement events. Email: nongor.org@gmail.com, Mobile # +8801818-067706. YPSA CEVEC Pekua Office, Basher Killa Ghona, Chowmuhoni, Pekua. YPSA CEVEC Kutubdia Office, Purana Protyashi Office, Janata Bank, Borghop, Kutubdia. YPSA CEVEC Moheshkhali Office, Jafar Ahmed Building ( Behind of Dak Banglow), Moheshkhali. Email: ypsa_shawkat@yahoo.com, Mobile # +01671 699 740.